Yes, you can drink while you do this. They’re allowing the people to paint portraits of their pets. Firstly, you need to book into the class. You can do that here. You need to send the team a high-quality photo of your fur baby in advance. That way, their ridiculously talented artists can sketch an outline of your pet before you come in, which will help you create something that actually resembles ‘Rover’, and not a brown blob. 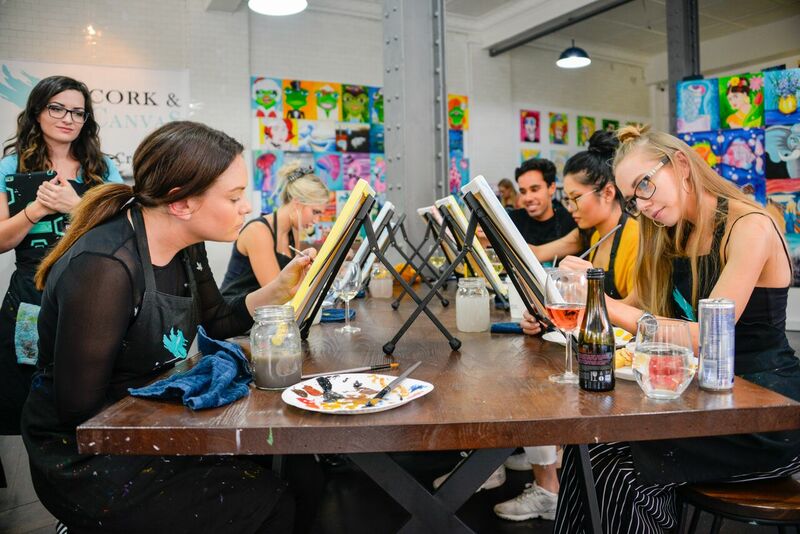 The studio is called Cork & Canvas because you can BYO booze to sip on while you paint. Feel free to pack some snacks to nibble on, too. If you’re feeling a little nervous about the results you’ll get, don’t! The team of in-house artists will demonstrate how to paint each section of your portrait and can answer any questions you have/help you out if you’re stuck (yes, that includes if you have no idea how to mix paints into any colour other than grey). And finally, yes, there are limited places available so book in fast!